Life arose on Earth more than three billion years ago. How the first self-replicating systems emerged from prebiotic chemistry and evolved into primitive cell-like entities is an area of intense research, spanning molecular and cellular biology, organic chemistry, cosmology, geology, and atmospheric science. 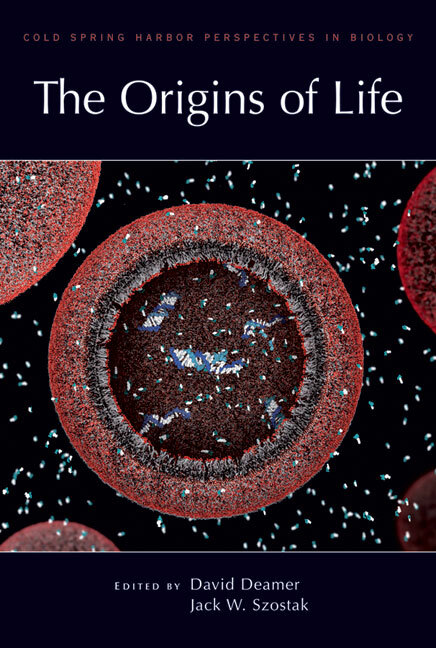 Written and edited by experts in the field, this collection from Cold Spring Harbor Perspectives in Biology provides a comprehensive account of the environment of the early Earth and the mechanisms by which the organic molecules present may have self-assembled to form replicating material such as RNA and other polymers. The contributors examine the energetic requirements for this process and focus in particular on the essential role of semi-permeable compartments in containment of primitive genetic systems. Also covered in the book are new synthetic approaches for fabricating cellular systems, the potentially extraterrestrial origin of life's building blocks, and the possibility that life once existed on Mars. Comprising five sections—Setting the Stage, Components of First Life, Primitive Systems, First Polymers, and Transition to a Microbial World—it is a vital reference for all scientists interested in the origin of life on Earth and the likelihood that it has arisen on other planets.